Big changes are coming to Xbox One this fall, but even bigger ones might be on the horizon, at least according to Xbox Chief Phil Spencer. In a recent interview with Gizmodo Brazil, Spencer had heaps to say about the recent addition of Xbox One-to-PC streaming and backwards compatibility with the Xbox 360 that was arguably one of the biggest announcements for the company during E3 earlier this year. In an off-the-cuff remark Spencer also mentioned that he's given some thought of bringing the catalog of original Xbox and Xbox 360 games to PCs, however, there's really no timeline or team dedicated to it yet. "Gizmodo: But do you plan for the future [to] include original Xbox games? Phil Spencer: It's something I want to do. It is a matter of priority. I would love to have the ability to play Xbox 360 on PC at some point too, [but we] have different things to think [about] when we plan these things. But it would be great to have support for original Xbox games. So yes, I want to do [both], but [we] have many other things we want to do as well. People fight with me for not having background music (laughs), so we have [a lot of] work to do. Which is great! It's great to have that feedback." Both features would likely be appreciated on gamers with massive backlogs stretching back to the original system, but just how - or even when - Microsoft would do this remains unclear. 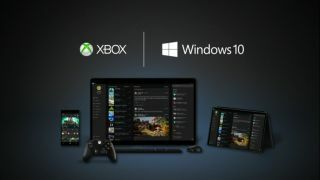 Xbox One will receive Windows 10 in November, alongside rolling out backwards compatibility to the community at large. These are the best Xbox One games, period.